Mr. Nelson Miu received his BS degree from Yale University, and his LLB and LLM degrees from the University of London. He was called to the Bar by the Honourable Society of Gray’s Inn in 1988. He joined Sir Oswald Cheung’s Chambers in 1989. 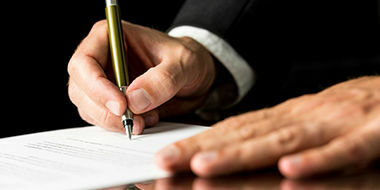 He has appeared in over 50 contentious probate cases, of which 15 have been reported in the law reports (HKLRD and HKC). Mr. Miu has since 2008 been the External Examiner/External Academic Advisor (the Bar’s Representative) for Property and Probate Practice for the PCLL courses of the 3 local universities. Ms Angie Yan graduated from the University of Cambridge with a BA (Hons) in Law in 2013 and was awarded the Charles Ching Memorial Scholarship (granted by the Hong Kong Bar Association) in 2014. She joined the Hong Kong Bar and Sir Oswald Cheung’s Chambers in 2015. When does probate business become contentious? In what ways do probate actions differ from other civil proceedings? What are the usual grounds of challenging a Will? What kinds of marriages are recognized and what do they entail? What are Administration Actions? Probate Action: nature, parties, mode of discontinuance, role of court, when costs do not follow the event. Grounds of Challenging a Will: execution, testamentary capacity, knowledge and approval, fraud and undue influence. Kinds of Marriages: registry marriages, Chinese customary marriages, modern marriages, kim tiu marriages, section 38 marriages, voidable marriages under the Civil Code. Administration Actions: the versatile Order 85 rule 2: construction of Will, Beddoe applications, compelling the personal representatives to act.